Every year, I always look forward for the classic ballet performance. 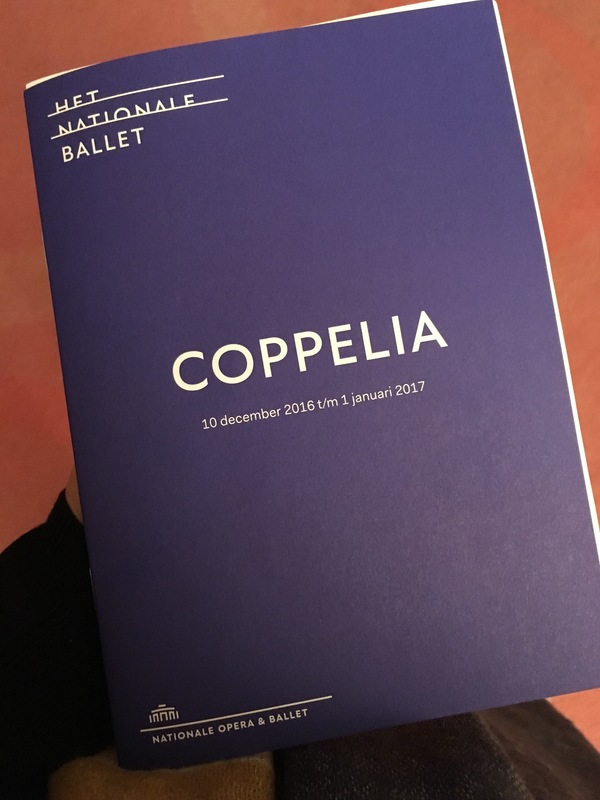 This year I went to see Coppelia. So yesterday I went to see it. The National Ballet Amsterdam brings the story with new twists and new energy. The dancers were just extrodinary. The musics were fantastic. I felt like I was dreaming and they took me to this magical world. I ccould say, this is my kinda night out. Something that I really enjoy it. I prefer to go alone or with people who love this kind of entertainment as much as I do. Its also and even where I could really dress up and wore my Jimmy Choo heels. I really love going to the opera, ballet or classical music recital. All and all, I really enjoyed my night out. I’m very happy. Looking forward to see more interesting programmes in 2017.